How can you tell that Fall has arrived in Arizona? The license plates are changing color and flu season is back. Every flu season is a little different and there is a lot of confusing information out there. Today I will try to help sort out the facts and answer some common questions that I get from my patients. Why should I get a flu shot? Influenza is still the most common vaccine preventable disease in the world. During the last flu season (2017-18), over 80,000 Americans died from influenza and its complications; the highest toll in decades. A flu vaccine helps prevent getting the flu and significantly reduces the chance that you will become one of the statistics. Who should get the flu shot? Everybody over the age of 6 months. Period. Children aged 6-59 months and adults aged ≥50 years are especially vulnerable to the flu. Anyone with a chronic medical condition (including asthma, heart disease, smoking and obesity) or weakened immune system. Anyone who is pregnant. Residents of nursing homes or long term care facilities and their caregivers. What do Trivalent and Tetravalent mean? There are at least 10 different formulations of flu vaccine currently licensed in the US and these can be classified as either trivalent or tetravalent. A trivalent vaccine is made to protect against 3 common strains of influenza virus circulating in the world (two type A and one type B). All flu vaccines contain these same three components, but tetravalent formulations also protect against an additional strain of influenza type B. The CDC recommends “any licensed age-appropriate flu vaccine…with no preference expressed for any one vaccine over another”. Age appropriate means that each different flu vaccine is licensed for a specific age range (older than 6 months, 3 years or 5 years, for example). A tetravalent vaccine may offer some additional protection but remember that simply getting a flu shot is more important than which one you get. What if I have an egg allergy? Per the CDC, being allergic or sensitive to eggs is no longer considered a reason not to get a flu shot. Check with your doctor or provider first if you have a history of a reaction to eggs. 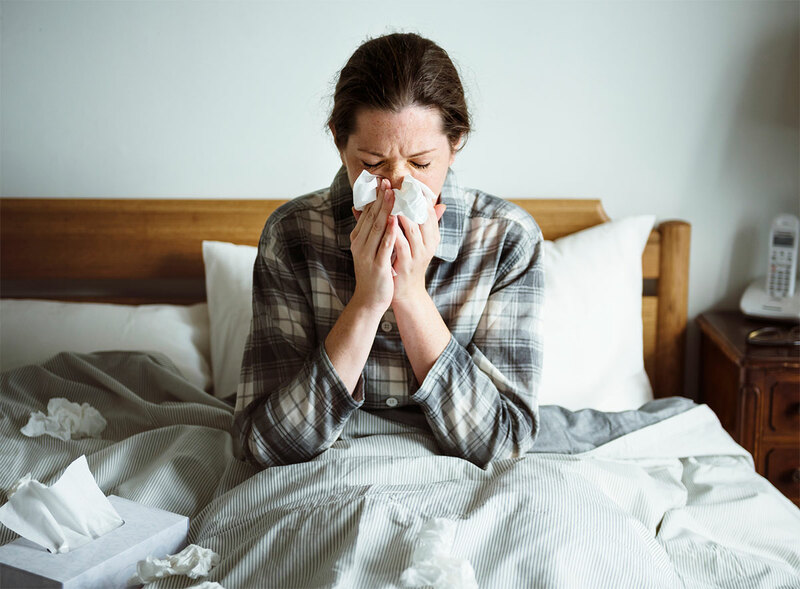 You may need only 15 minutes of observation after getting a regular flu vaccine or you could be a candidate for one of 2 recombinant vaccines (Flublok® and Flucelvax®) which are produced using cell culture technology instead of being incubated in eggs. What if I am over the age of 65? Our immune systems become less robust as we age, so if you are over 65, a “regular dose” flu shot may give you less protection. There are currently two vaccines designed specifically for anyone over the age of 65. Fluzone High-Dose® and Fluad® are specially formulated to produce a higher immune response. Vaccination is especially important for people 65 years and older because they are at high risk for complications from influenza. What about Flumist®? Flumist® is the nasal spray form of the flu vaccine and the only one not administered with a needle. It was not recommended for the last 2 flu seasons but is again available for the 2018-19 flu season and can be given to healthy people ages 2 to 49. It is made from a weakened live virus and cannot be given to anyone who is pregnant or has a compromised immune system. Do flu vaccines contain mercury? Flu vaccines that are drawn from a multi-dose vial contain thimerasol, which is a preservative containing a trace amount of mercury. The amount of mercury is less than we are usually exposed to naturally in the environment and has never been shown to cause harm. Every type of injectable flu vaccine is also available in a single dose pre-filled syringe which contains no preservative or mercury. With so many choices available, you should have no excuse to not get a flu shot. Even if you’re invincible and “never get the flu”, getting vaccinated reduces your risk of infecting other more vulnerable people in your community. Don’t be “that guy” that infects your new infant, elderly neighbor or pregnant family member with a potentially deadly disease. On that cheery note, get out and enjoy the Fall weather that we so cherish in Arizona.